State Police continue to investigate the 1964 murder of 69-year-old Lucy Dade Forrester in the village of Frankfort. On February 20, 1964, Forrester was found murdered in her small variety store located on South Litchfield Street in the village of Frankfort. Mrs. Forrester lived alone in an apartment over the store and ran the store by herself. 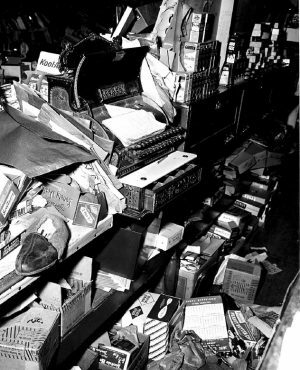 She was last seen alive on February 19, 1964, and was known to come downstairs from her apartment to open the store at odd hours if someone knocked on the door. Mrs. Forrester was beaten and strangled to death and the store and apartment were ransacked. At the time it was rumored that Mrs. Forrester kept cash hidden somewhere in the store or her apartment. It appeared that robbery was the motive in this homicide. Anyone with information on this case is asked to contact Senior Investigator Reece S. Treen of the Troop D Major Crimes Unit at 315-366-6003. All calls can remain confidential.